If you love great food, Middleburg is the Southern food destination you have to know about. Our best restaurants are locally owned and offer everything from farm-to-table gourmet dining to hearty tavern fare. Goodstone Inn & Restaurant has been named one of the 100 best restaurants in America (OpenTable) and one of the 100 best wine restaurants (Wine Enthusiast Magazine). 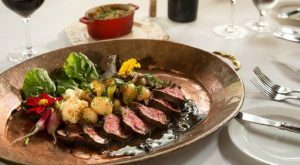 Harrimans Virginia Piedmont Grill wins raves for its flavorful, locally inspired dishes, while Hunters Head Tavern in Upperville and the Red Fox Inn & Restaurant continue to impress with their fresh takes on traditional tavern food. Market Salamander, Middleburg Common Grounds, Gold Cup Wine Bar and the Side Saddle Café round out Middleburg’s food offerings, while the Upper Crust is the perfect stop for a quick snack. Or, head down the road to Marshall for fast-casual fare at Gentle Harvest or treat yourself to an authentic Italian dinner at Girasole in The Plains. Find your favorite restaurant today! 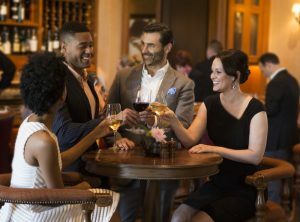 Enjoying a sophisticated ambiance and fabulous setting, Gold Cup Wine Bar is a relaxing venue for cocktails and delicious fare. 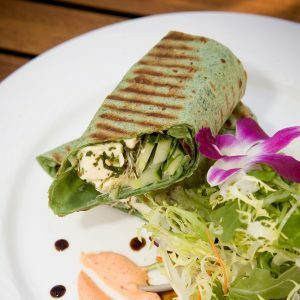 Serving lunch and dinner, Gold Cup offers delectable menu options, the best of Virginia’s wines, hand-rolled sushi in-house, signature cocktails and much more. Offering weekly events, an outdoor terrace, billiards rooms and multiple televisions for watching sporting events, this plush wine bar will quickly become a favorite stop when visiting. Set on a 265-acre estate in the heart of Middleburg’s wine and hunt country, features state-of-the-art, seasonally-inspired cuisine with a farm-to-table emphasis. 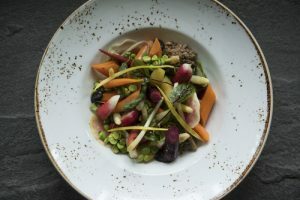 The dining room menu offers French Country cuisine and showcases the freshest of vegetables, herbs, micro greens, eggs and lamb from the Farm at Goodstone as well as other local farms. Their wine cellar features a selection of 1,500 bottles from around the world. 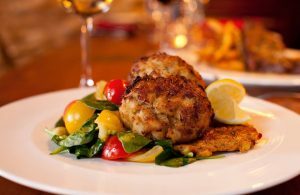 Goodstone Inn & Restaurant has won many awards for its fine dining, including Trip Advisor’s “Certificate of Excellence” (2015), Wine Spectator‘s “Award of Excellence” (2015), OpenTable Diners’ Choice Award for “Top 100 Best Restaurants in America” (2015-2016), OpenTable Diners’ Choice Award for “Top 100 Most Romantic Restaurants in America” (2015) and Wine Enthusiast Magazine‘s “America’s Best 100 Wine Restaurants” (2013). Hours: Open daily 8 a.m.-10 p.m. Using only the freshest ingredients, Harrimans features a local bounty of bold and flavorful dishes celebrating the rich resources and history of Virginia’s most fertile region. The dinner menu highlights include the 48-hour brined “Not Your Mother’s Pork Chop” with cipollini agrodolce, Pan Roasted Sweet Breads with dijon horseradish aioli, and the 22-ounce prime bone-in Cowboy Cut ribeye with smoked pancetta pesto. Harrimans also offers an array or morning favorites in an extensive breakfast menu and weekend brunch offerings. Whether you are enjoying a lively meal with friends in our dining room, hosting a private dinner at their Chef’s Table in the Cooking Studio, taking a pre-dinner stroll through the Culinary Garden or relaxing with an after dinner cordial by our fire pit, at Harrimans, it always feels like Saturday night. 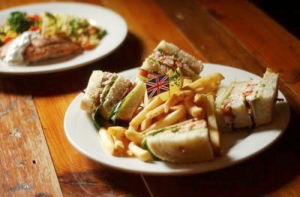 Wednesday-Saturday: 6:30-11 a.m., 5-10 p.m.
Sunday: 8 a.m.-1 p.m., 5-10 p.m.
Hunter’s Head Tavern is an authentic English Pub that serves pub fare, fine dining cuisine and mouthwatering homemade desserts. At Hunter’s Head, you can experience organic local farm meats and produce harvested from neighboring Ayrshire Farm. Hours: Open daily 11 a.m.-9:30 p.m.
Market Salamander is a true working chef’s gourmet market. From a relaxing meal at their inviting café or outdoor patio, gourmet sandwiches to-go or full-service, off-premise catering and custom cakes for your next event, they invite you to discover a feast for the senses in Virginia’s horse and wine country. Upon entering, you are quietly reminded of the village markets scattered throughout the Italian Piedmont. Guests are welcomed by the wonderful aromas from our open kitchen, enticing you to sample our daily specials. The cuisine at Market Salamander spans the globe, with internationally inspired dishes reflecting regional American and Mediterranean influences. In the spirit of the world’s finest marketplaces, they present specialty meats, domestic and imported cheeses, freshly prepared foods and impressive selections of fine wines and desserts. 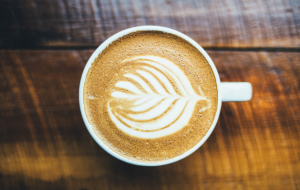 A local favorite, Middleburg Common Grounds serves coffee, tea, beer and wine, as well as breakfast sandwiches all day, salads, soup and sandwiches using local providers of ingredients whenever possible. Gluten-free options are available! The coffee house also has a rotating art gallery featuring the work of local artists. The Red Fox Inn & Tavern is a must-see Virginia landmark offering hearty meals in an historic tavern setting. 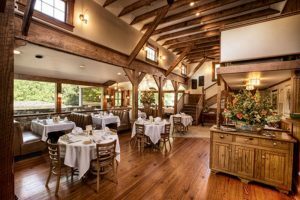 Established in 1728, this historic fieldstone inn and tavern embodies the Piedmont’s cultural heritage and is inspired by four centuries of Virginia Hunt Country tradition. Prix Fixe Brunch: 11 a.m.-2:30 p.m.
Prix Fixe Brunch: 11:30 a.m.-2:30 p.m. 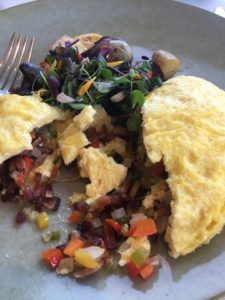 The Side Saddle Café offers freshly cut prime beef, lamb, poultry and pork at its gourmet farm shop as well as a full array of breakfast, lunch and dinner items featuring seasonal items with pasture-raised meats, organic produce and homemade breads. Top it off with the “Bongo Bongo,” caramelized bananas smothered in vanilla ice cream on top of their homemade, gluten-free banana bread. 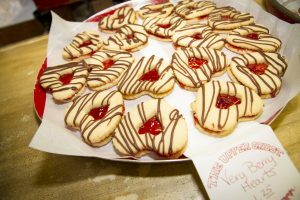 The Upper Crust is a quaint bakery and café specializing in cookies and pies, with sandwiches and some breakfast options. Home of the famous Cow Puddle Cookie!